Train for and complete a destination trail race with Life’s 2 Short Fitness!! 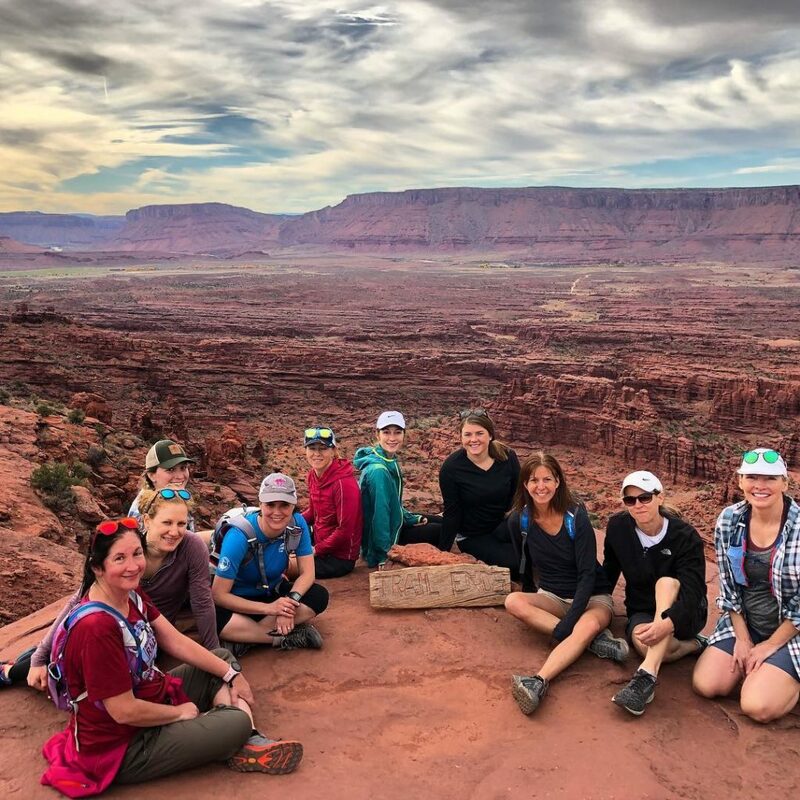 Join L2S and women trail runners as we train for and travel to beautiful destinations to participate in trail races twice a year. 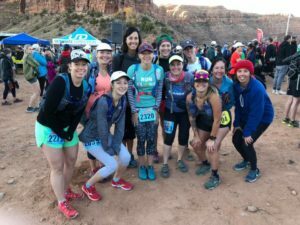 The first race is Moab Trail 1/2 marathon OR full marathon on November 2nd, 2019. Join us for a weekend of adventure! L2S also has a group of hikers and mountain bikers going out for the Adventure Weekend! We will be organizing several guided hikes, rides + shuttles and other adventures over the weekend too. Details below…. 11am: Arrive in Moab and grab lunch. Check into our hotel. 2pm: Short Hike (3-5 miles) OR easy beginner (with intermediate options) mountain bike ride to shake out those legs after a long drive. 6pm: Pick up our packets and then head to dinner where we will do a pre-race Q & A to talk about race strategy, expectations and nutrition. Meet early for a group warm-up, pictures and then run! Cheer on other L2S gals. Those who want to go their own pace head off, otherwise we finish as a group! Mountain Bikers: We will have a full day guided adventure run on the famous slick rock trail. Post race: Recover and relax. Enjoy a stretching and foam rolling session, lacrosse balls and foam rollers provided. Grab lunch on your own and if you have the energy, join a sunset hike + wine on the Delicate Arch trail. A group dinner will be arranged after the hike. If we have the time and energy there are 2 amazing events going on in Moab this weekend: the Celtic Festival and Folk Festival. Tons of live music, shows and more fun! Sleep in, grab some breakfast, coffee and then off for a group mountain bike ride OR canyoneering excursion! Group lunch and then start heading back to Denver. If you want to break up the ride home there will be the option to stop in Palisade for wine + mead tastings and to purchase local farm fresh produce including some famous Palisade peaches! – Tons of pictures, new friends and the experience of a lifetime! 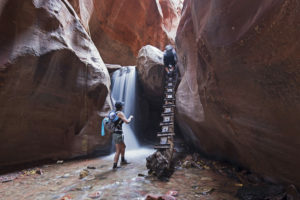 The hotel has great reviews/ranking and is right in downtown Moab near shops and restaurants, the Colorado river, trail access, and most importantly across the street from Moab Brewery. Lodging rate includes hot and cold breakfast, indoor and outdoor pools/hot tub, a gorgeous patio as well as free high speed Wi-Fi! Check out our local 10 week trail running training group where we meet at different trails twice a week to train for the race!! In these coached sessions we will increase mileage weekly and practice work on hills, turnover and technical terrain. Learn more here. Mountain bikers, we also have a 10 week program with regular group rides and special skills clinics. Learn more HERE. Will range between $300-600. The total trip costs depends lodging arrangements and activities. 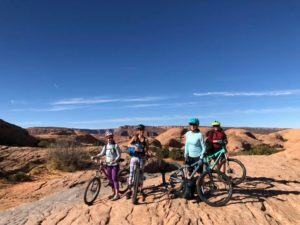 * For example, $300 would be based on being an L2S member, sharing a room, bringing your own bike and not doing the canyoneering. This is an estimate and may be lower as we work out deals with local Moab partners. ——-> We can take up to 20 women, last year we filled up so make sure to save your spot now! A $175 non-refundable deposit to reserve your spot MUST be made by July 1st, 2019 (this allows us to pre-pay and book the hotels and excursions ahead of time for the best rates). L2S members save $50 on trip fees. Pay the deposit now to save your spot!